With the latest headed to Sundance, it’s time to prep yet another Daniel Clowes work for the big screen. The next one being adapted is Patience, a story about loss and time travel released earlier this year. According to Deadline, Focus Features has acquired the rights to the graphic novel. 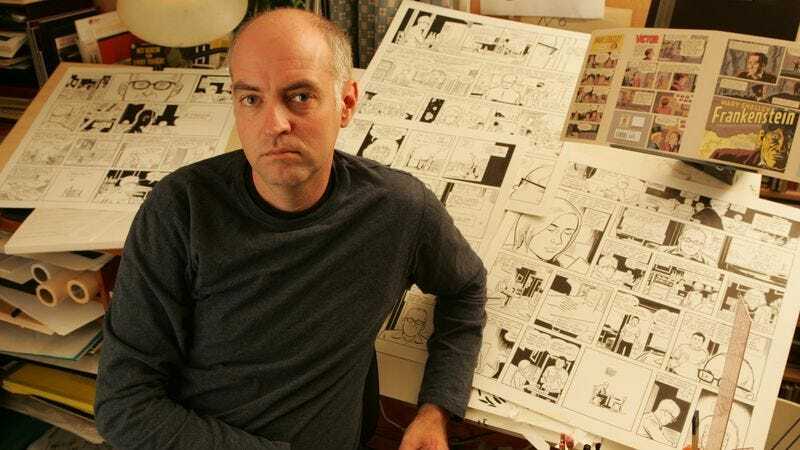 Unsurprisingly, Clowes is going to write the screenplay for the film himself, as he did with Ghost World, Art School Confidential, and the upcoming Wilson. Patience follows a man who goes back in time in an effort to figure out who murdered his wife—the titular character—and their unborn child. It’s billed as: “A COSMIC TIMEWARP DEATHTRIP TO THE PRIMORDIAL INFINITE OF EVERLASTING LOVE BY DANIEL CLOWES.” While you wait for that one, Wilson, which stars Woody Harrelson, comes out March 3.